Cuspal have been offering digitally printed solutions for the last decade, just like a lot of other printing companies in Ireland and around the world. While we still offer these solutions, we have seen a trend in other countries to move to more innovative solutions using fabric and the process of dye sublimation. It is incredible the amount of companies in Ireland that set up at an event and all use the exact same digitally printed curved stand. They are literally everywhere! The truth about these solutions are that they are clunky, can be hard to set up and it is extremely easy to ruin the graphic. Lucky for you there is another option, Fabric! Dye sublimation is still quite a new process in printing. While many people know about it and the end product, a lot of people still don’t know exactly how it works. The process starts by printing onto fabric using an ink that works like a dye. The printed fabric is then fed through a Calendar Heat Press and using heat of over 200 celsius and intense pressure the dye turns into a gas and is then transferred or sublimated into the fabric. This means that the ink is now dyed into the textile and does not rest on it, because of science! Quality is a huge reason why we are offering more fabric solution s. When a digital printer is printing an image, it uses a group of coloured dots to create the image (known as ‘dithering’). If you look at this from a distance it looks like the colour, but if you look up close, especially with a magnifying glass, you can clearly see the dots are different colours. Now as we dye sublimate the images onto fabric, this process mixes pigments to form the actual colour, negating the need for this use of dots. 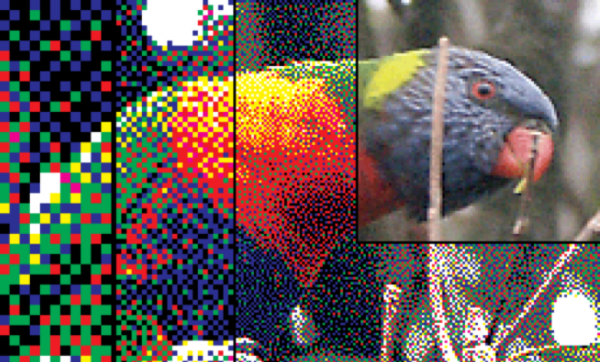 The result is a consistent colour from near or far, so you can put your magnifying glass away! For us one of the biggest factors with using fabric graphics is how reusable it is. As the solution is fabric it can be put in the washing machine if it is dirty and can be ironed if it is creased, which makes it much more flexible than digitally printed products. Further on from that the graphics themselves can be reused as different solutions. For example, some of our clients have used our trigga system for trade shows and cut down the graphic and hung it in their office afterwards. The systems offered with fabric solutions literally couldn’t be easier to set up. 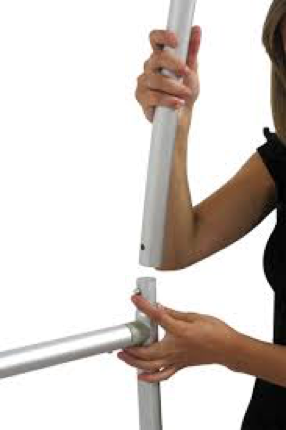 The systems themselves use aluminium poles that are tethered to each other and are numbered making it so much easier to set up. The graphic itself fits over the frame like a pillowcase and zips at the bottom so you don’t need to worry about any magnets and as the graphic is in one piece, on unlightly joins either. Considering the above benefits, specifically with quality, the price of dye sublimated fabric stands are very competitive. For example take a standard economy pop up stand. They come in generally at about €995 euro. 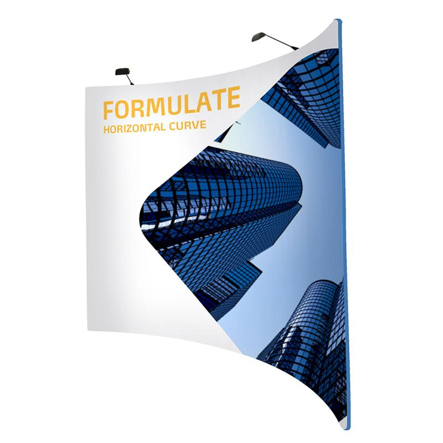 A Formulate curved fabric stand is €975. Not only is it cheaper but it gives you the opportunity to print a double sided graphic that is better quality. As far as we are concerned that is a no brainer! Fill in a form on our website and we will get back to you! 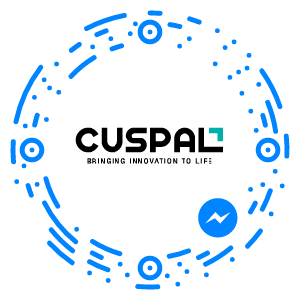 Talk to us on facebook messenger using our messenger code below – scan using your facebook app!